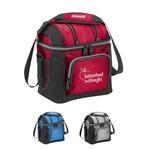 The Coleman® Saddle Bag Cooler - a stylish new addition to the Coleman Promotional Cooler Bag line! 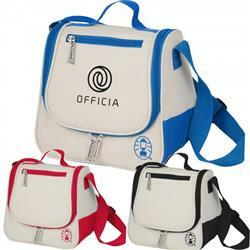 It has a 600D Polyester exterior with PEVA lining. 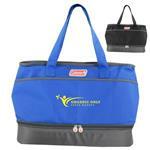 It features a front zippered pocket and a zippered main closure. It has a 43" adjustable webbing strap with an 8" top handle. 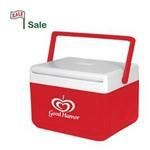 It has an 8 can holding capacity and a 8"W bottom. 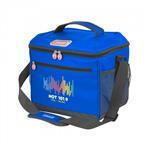 9" W x 6" D. This fun smaller sized promotional Coleman cooler bag has it all! Screen. Optional full color for an additional charge.